If you’re thinking about doing your floors, you’ve probably done countless hours of research online, visited several stores in Worcester, and pored over colors, textures, sizes, and styles. You may have some idea of what you like, but is it a good choice for your lifestyle or your budget – or both? 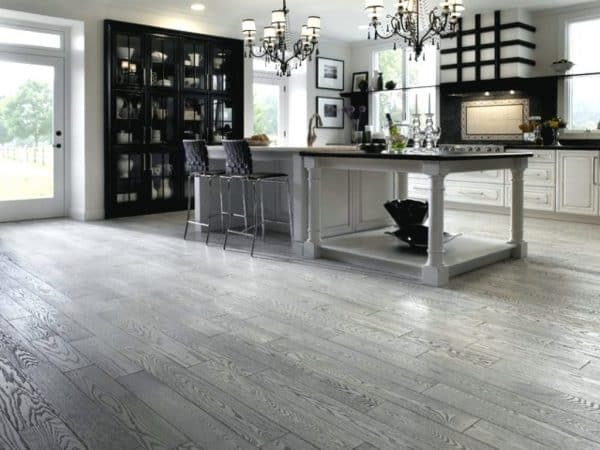 We’re breaking down the pros and cons of the most popular trends in flooring today. Con: DIY installation can be trickier because you’re working with such a large area. Pro: Because it’s already distressed, it’s a good choice for households with kids and/or dogs. This is another fast-growing segment of the flooring industry because today’s vinyl planks can fool the eye, and, sometimes the foot and fingers, too. Luxury vinyl planks look like the real thing, but often at a much lower cost. 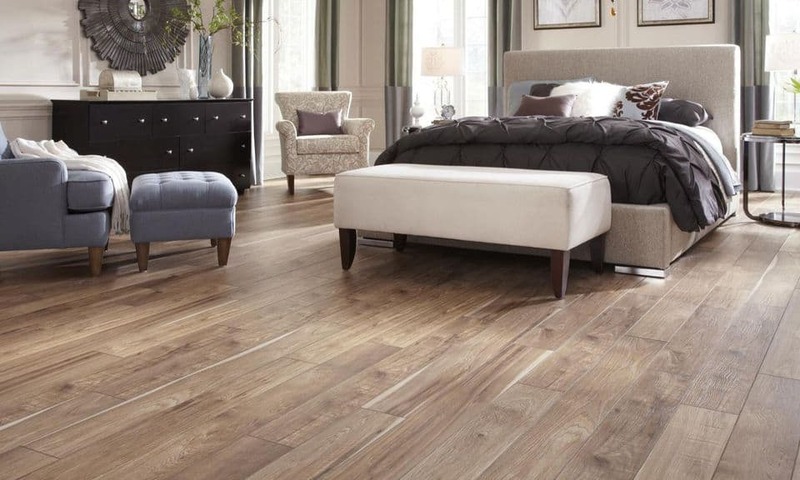 Pro: Choose vinyl planks that “float” and you can go right over the top of existing flooring. That makes it an easy choice for those who don’t want to do demo. Luxury vinyl is also extremely durable and easy to take care of—great for active households. Con: The best vinyl plank product will get close to the price of real wood unless you are lucky enough to catch a sale. It’s not wood. Con: If trend cycles hold, darker wood will come back at some point. Choose an excessively trendy look, like bleached-out floors, and you may further limit your “in-style” window. “Gray wood floors are increasingly common and are a 2018 floor trend. They provide a unique, clean look that fits well in modern homes. Con: Will the pendulum swing back to brown? Eventually…probably. Flooring that works in both brown and gray tones might help with the staying power. Also, gray can “lack the warmth of traditional natural-color wood flooring,” they said. Those who lean green have loved bamboo floors for years because of the material’s eco-friendliness. “Bamboo is considered as the fastest growing woody plant, reaching full maturity in five to six years,” said Green Design Build. Pro: With 3D printing, the looks you can achieve are endless, and mimic the appearance of wood so closely that people may not even realize it’s not wood. Wood-look tile is also a great choice for areas like “the bathroom or other space prone to dampness” and is easy to clean and care for. Con: It’s hard under foot. And it’s not wood. Are you looking to buy your dream home in Worcester County, Massachusetts? If you are a home buyer, our foremost goal is to provide you with exceptional customer service. Our goals are to help you purchase the right home, make sure you don’t miss out on any homes that meet your needs, and make sure you don’t pay too much for your next home. Please utilize our Worcester County real estate expertise to make your home search and buying experience as stress free and rewarding as possible. Worcester County was formed from the eastern portion of colonial Hampshire County, the western portion of the original Middlesex County and the extreme western portion of the original Suffolk County. When the government of Worcester County was established on April 2, 1731, Worcester was chosen as its shire town (later known as a county seat). Are you thinking about relocating to Worcester County, Massachusetts? I can help you find the perfect home and make your move as stress-free as possible. I can offer valuable insight about the area to help you through your home buying experience. Contact Me at 978-422-8181. Are you thinking about buying or selling in Worcester County, Massachusetts?